Skin diseases can be a frequent or chronic problem in some patients. The causes of skin issues can be variable and can have multiple aspects. Sometimes skin problems are due to coming into contact with organisms such as ringworm (actually a fungus, not a worm). 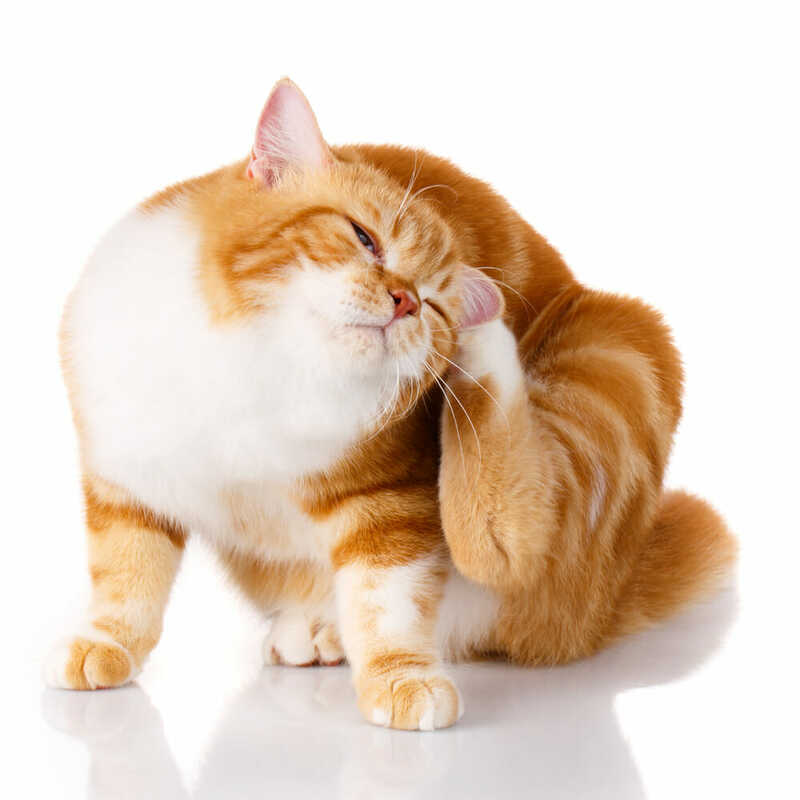 Being exposed to something in the environment which can be a common cause of allergies, eating certain types of food can cause allergies, and exposure to fleas & ticks can lead to a whole host of problems with the skin as your pet scratches and breaks the skin barrier. Some skin diseases can be immune-mediated or hereditary and could also be due to metabolic diseases. Diagnosing the cause of your pet’s skin disease can be challenging, and some patience is needed. Treatment will depend on the underlying cause, and symptomatic treatment can sometimes be instituted for immediate relief. Our veterinarians will discuss the options for diagnosis and treatment during a consultation in the clinic.